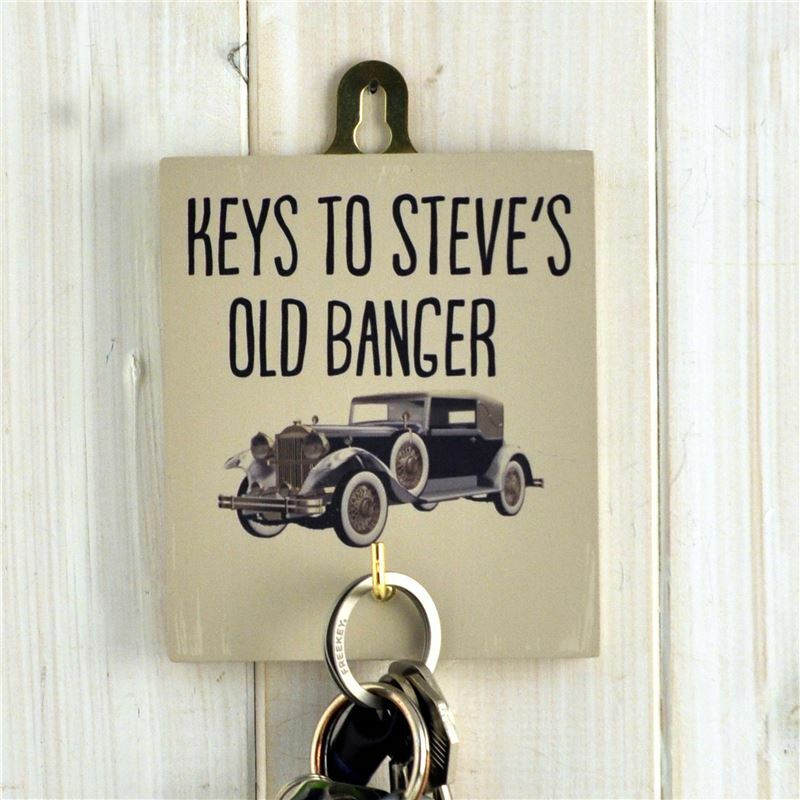 A witty little personalised key rack , an ideal gift for a man and a great way to stop lost keys. Holds one set of keys. Brilliant for fathers day or Dads presents.